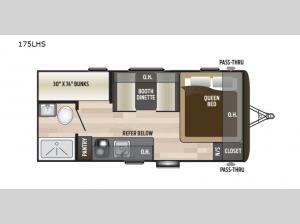 If you're looking for an RV that provides exceptional value, then you need this Hideout Single Axle travel trailer. 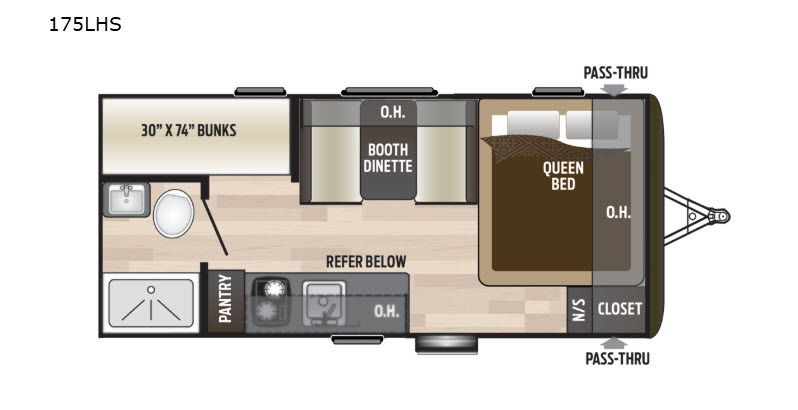 From the queen-size bed to the set of bunk beds, this unit gives you all the room you need to sleep five people comfortably, and the booth dinette gives you a place for everyone to get together for meals and games. Having a full bathroom will be a huge benefit when you find yourself camping out in the middle of nowhere, and no one will go hungry during those trips because the two-burner range top will help you easily prepare all of your favorite dishes.